Take a gamble with the Lucky Seven that will give you the thrill you have been waiting for! 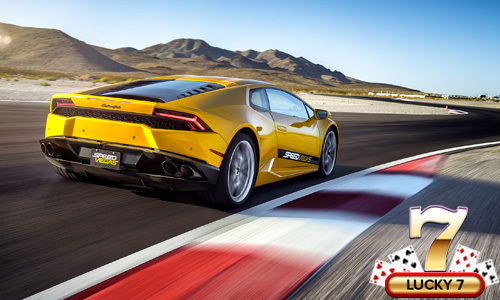 The Lucky Seven is the ultimate package with three amazing Porsche supercars, a Lamborghini Huracan, Audi R8, Mercedes AMG GTS and a thrill-seeking Baja Truck. Feeling Lucky? This is exactly what you have wanted and have been waiting for. Prepare yourself for the ultimate lucky package! Know exactly which dream car is right for you? Buy a racing experience in a specific car. Then, customize your experience by adding additional laps around the SPEEDVEGAS racetrack.